If those night jogs, gym sessions, and dance classes aren’t enough to get fit, then head on to Capitol Commons and get on the Crossfit craze every Friday of September, 7PM, with Bootcamp in the Park. In partnership with Crossfit MNL, Capitol Commons brings this alternative, holistic fitness program that combines various physical movements, workout routines, and sports activities into a timed workout to help participants get leaner, stronger. By focusing on bodyweight movement, Crossfit is proves to be both a fun and challenging workout. Tag your fitness buddies and sign up for free Bootcamp in the Park classes at Capitol Commons. Visit this link to sign up: https://goo.gl/forms/ca99Nr5kgQqUvdms2. 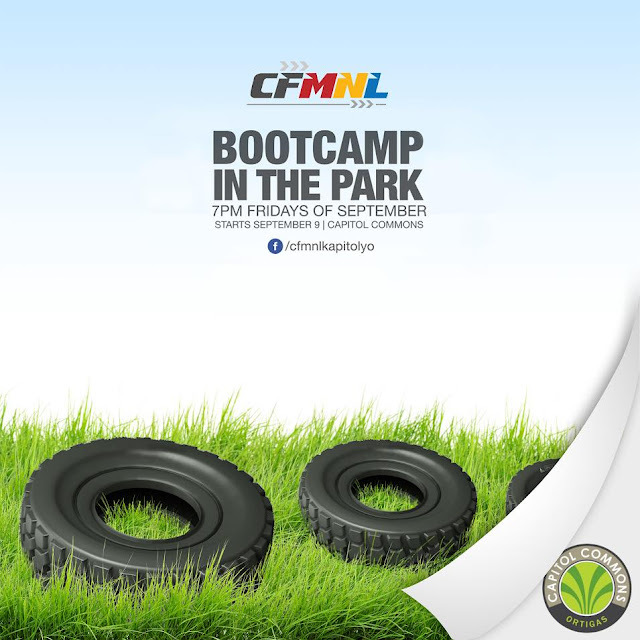 For kicks, Capitol Commons’ partner CFMNL is throwing in a cool prize for Bootcamp in the Park participants. One lucky fitness enthusiast who attends the most number of Bootcamp sessions can also get a chance to win a one month unlimited bootcamp package. For more details, click here: https://www.facebook.com/events/963758657085887/. Capitol Commons is Ortigas & Co.’s latest mixed-use urban hub which caters to the dynamic, fast-paced lifestyle of young city-dwellers who wish to have a more well-balanced lifestyle. Sign up in Bootcamp in the Park now and get pumped up for a healthier, stronger you.